Motorola Solutions recently announced that its TETRA digital radio trunking system has won a digital communications project bid from a nuclear power plant based in China for the first time ever. After several anti-seismic tests, the Tianwan Nuclear Power Plant based in Lianyungang granted the bid to TETRA. As part of the bid, Motorola Solutions will provide Tianwan Nuclear Power Plant with all of its important command and dispatch, as well as emergency communications network systems. This is due to the company’s safe and stable equipment operations and its calm handling of emergencies. Work safety is increasingly important to nuclear power plants in China, as the number of plants continue to grow and gain ground in technology upgrades. Adding the TETRA digital communications systems will allow all of Tianwan Nuclear Power Plant to have stable and efficient operations with its emergency and command and dispatch response systems. The new technology is just the first step of the plant’s future expansions and upgrades, as the TETRA system will help the reactors communicate with one another. 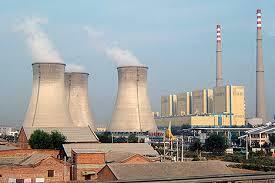 Tianwan Nuclear Power Plant is the largest per-unit capacity plant based in China. It has a third-generation plant safety performance along with operations management levels that maintain a high standard. Want to get notified whenever we write about Motorola Solutions, Inc. ? Next time we write about Motorola Solutions, Inc., we'll email you a link to the story. You may edit your settings or unsubscribe at any time.